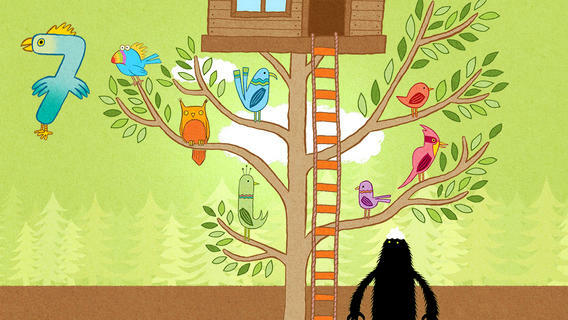 FREE for a limited time – The Lonely Beast 123, an educational app based on Chris Judge’s well-loved children’s book. Every day, the Beast counts the things in his house. Kids join him on his counting adventure which features 12 fun & interactive scenes. Every number has something to count – 4 eggs to fry, 6 flowers to water, 9 cakes to eat, 11 stars to tap, etc. The app is top-notch with lots of attention to detail. I love how the numbers are drawn – they show kids what to count on that page. The app is visually appealing with great sound effects – really fun for little ones! Highly recommended.